Today i met with the creators of ladibird (Adam and Hansheng). The ladibird is quite a unique product. When i was told there was a device that can turn the iPhone 5 into a DSLR quality camera, i was indeed skeptical, the iPhones camera simply can’t be that good. That’s until I found out how it works. It’s essentially an iPhone case with a lens and It’s own CMOS sensor built in. Which means the iPhones camera sensor isn’t involved at all. Also the actual camera part of the case can be hotswapped between devices. So even if you bought a ladibird for an iPhone 4/s and get a never iPhone, you could just upgrade the case itself and the sensor you already paid for would still work. They market it as a portrait camera, which makes sense since people take an astonishing amount of pictures both of themselves and their friends using their phone. But this technology has many applications, not only does it improve the portrait photos you take with your phone. 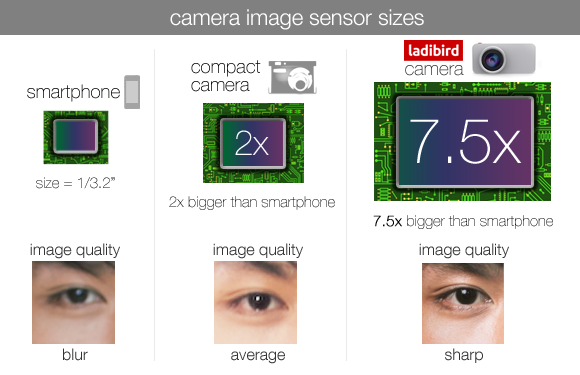 Bigger sensor means more light sensitivity not just more pixels, so any photos will be considerably better, especially under low light conditions. With this device you could even do some serious astrophotography using your phone. As for the specifications of the sensor itself they couldn’t disclose any exact numbers but they assured me It will rival entry level DSLR’s like the 60D. The lens on it is equal to a 50mm f1.8 SLR lens. 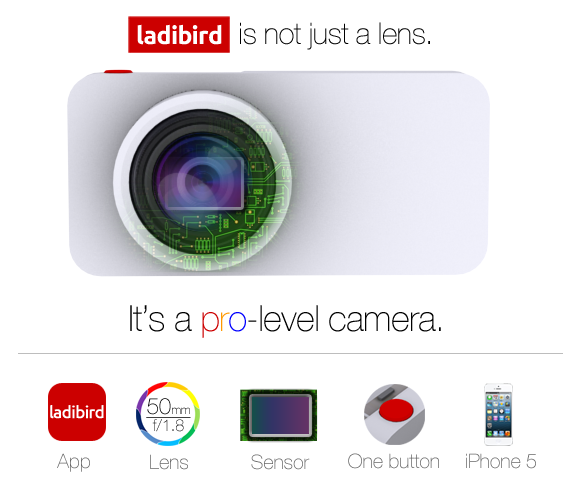 Ladibird has been crowdfunded on indiegogo and has reached It’s goal. It will soon go into production and following will be retail sale, so stay tuned! Previous: Is Time Travel Possible?